A design for a new 20,000 sqm bio-tech lab and office space in 7 stories over 2 parking levels. The design concept was to divide the large volume to four secondary masses interconnected by two atria. The exterior design enhances the contrast between heavy stone-cladded walls and light aluminum profile screen, separated by the atria glass walls. 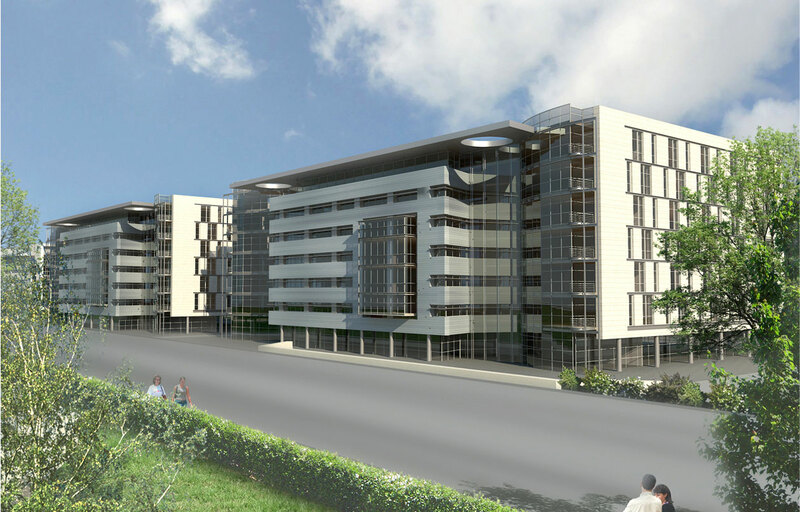 A design for a new 20,000 sqm bio-tech lab and office space in 7 stories over 2 parking levels. The design concept was to divide the large volume to four secondary masses interconnected by two atria. The exterior design enhances the contrast between heavy stone-cladded walls and light aluminum profile screen, separated by the atria glass walls. 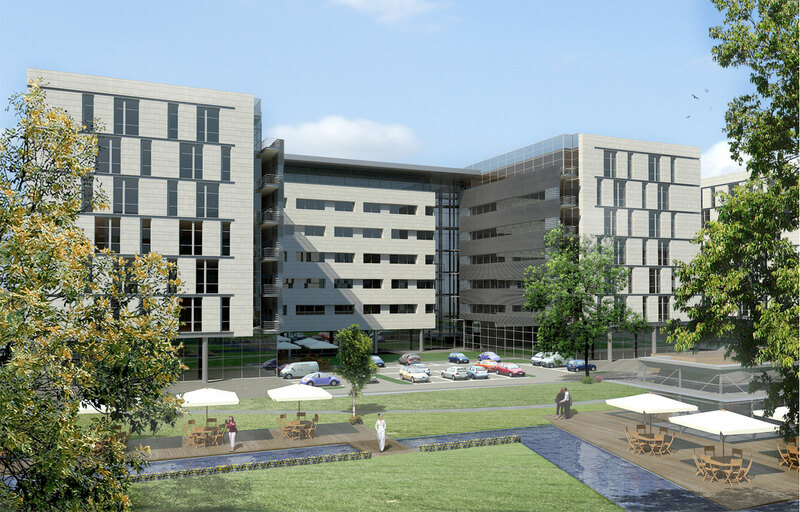 A design for a new 20,000 sqm bio-tech lab and office space in 7 stories over 2 parking levels. The design concept was to divide the large volume to four secondary masses interconnected by two atria. The exterior design enhances the contrast between heavy stone-cladded walls and light aluminum profile screen, separated by the atria glass walls.